New York State Senator Whitney North Seymour, Jr. discusses his work preserving historic courthouses, Washington Square Park, and South Street Seaport. Whitney North Seymour, Jr. became actively involved in preservation through the New York Bar Association Committee for the Preservation of Historic Courthouses. He was an active community member, serving on the Greenwich Village Association and as president of the Park Association of New York City. After being elected to the New York State Senate in 1966 he advocated for many preservation projects. He discusses the politics surrounding preservation in Albany, especially the bill to establish a maritime museum at South Street Seaport. Q: This is an interview with Whitney North Seymour, [Jr.], Mike Seymour, on Thursday July 27. At least we got the formalities out of the way, the tape seems to be moving, the lights are on, we’re going to assume it works. Seymour: Put your channel question up—I’ve done a little homework—I’ve got a chronology of sorts put together. Q: —before electoral office took you to greater seats to sit on. Q: Well, yes [laughs]. Then there is a third thing I’m just curious about—whether you have any papers from those periods. Also, I was curious whether your father had left papers anywhere, on his work, on his preservation stuff, and we can just deal with that at the end because it’s more of a [unclear]. Seymour: Well, why don’t I deal with it at the beginning, while it’s fresh in my mind. Seymour: I don’t have an index to them, but all of his papers dealing with civic matters are in the manuscript division of the New York Public Library. Q: Okay? They are. Okay. Great. Seymour: I wouldn’t be surprised if somebody’s actually made an index of them. My suggestion is to go tackle them, and I’ll bet you’ll find that there is a box [crosstalk] in the Manuscripts [Archives and Rare Books] Division. Q: They probably put a finding together by now. Seymour: It was something he put a lot of work in. Q: That’s great. I didn’t realize his papers were there. I must have overlooked that. Q: That’s where [Albert S.] Bard’s papers are, so I spend a lot of time over there. That’s great. Terrific. Seymour: I was impressed by the Public Library’s enterprise. Shortly after my father died, I got a phone call from a fellow at the manuscript division, and his first statement was, “Don’t throw them out.” He said, “If you don’t have any other commitment on what to do with your father’s papers, which are on essentially civic matters, we’d like to have them.” So that made our job in cleaning out the apartment a lot simpler, and also the files here at the office. They were boxed up and delivered over there, quite a hunk of them. Q: That’s exciting, because I know he was not only, of course, that whole MAS thing of his—I’m looking more at the ’50s and ’60s—but then I realized he was the chair of the Fine Arts Federation [of New York], in that period when the law was actually passed, in ’65, and I actually did stumble on some minutes of the Fine Arts Federation meetings, in the early ’60s, which were actually quite informative. Seymour: The other project he took on, that you may or may not have run across, was he was the godfather of the Community Trust Architectural Markers Program [New York Community Trust Plaque Program]. Q: I’ve seen the book, which is great. Actually, I went to the New York Community Trust, and they actually had nice binders of all the original photos, but they didn’t have any correspondence that would have explained more of the thinking behind it. So maybe there will be some more on that in the papers at the New York Public. Because I did know he was involved with the New York Community Trust, and involved at MAS, and was able to be the bridge person behind the idea of finding the money. Seymour: But he dreamed up the idea of putting the markers on, and the director—I think his name was Field [phonetic]—used to josh with him. He said, your patronage is all those markers. That was his condition of serving as a trustee over there. Q: Oh. That was a good payment. Seymour: Yes. Fellows who needed money for drugs, I think, primarily. Q: Did he really get a lot of personal satisfaction out of seeing that grow? Seymour: Oh, yes. I don’t know what triggered him originally, but he always was outspoken on the need for historic preservation. He got me into some projects as a result of that—which I’ll tell you about chronologically. From childhood, he used to take me by the hand, and we would walk around the Village and down to the Lower East Side, down to South Street, which is how I got my first interest in the South Street Seaport Museum. He actively pursued interest in Grace Church and raised the money, something like $600,000 to save the [James] Renwick [Jr.] school buildings behind the church, on Fourth Avenue. He really was interested in landmark preservation throughout his entire adult life. When I think of it now, when he was in college, at the University of Wisconsin, he had cards printed up that described himself as an archaeologist. He actually went out—I’m sorry to say, he later regretted—and did some excavation of Indian mounds. I remember, as a small boy, a cardboard box full of Indian arrowheads, which, of course, would have been much better off if left in situ. Seymour: All right. Let me try to address this theme chronologically. It’s probably useful to know that I’ve always lived in a row house, and my wife has always lived in a row house, in Manhattan, both of us. So row houses and residential areas of New York are what we know, eat, and sleep. Catryna [Ten Eyck Seymour] was born in New York. Her parents had a house, at least when I was courting her, on Ninety-Fourth Street. I was technically not born in New York. My grandfather was a doctor in West Virginia, and he didn’t trust New York doctors, so he ordered my mother to come home to West Virginia so he could deliver me. I was delivered by my maternal grandfather, who pronounced me acceptable, and sent me back to New York at the age of two weeks. I’ve lived here ever since. Q: But robbed of a New York birth certificate. Seymour: Yes. And I have to make explanations all the time for why I was born in the West Virginia hills. When I was born, my parents lived somewhere up near City College [of New York], where my father was teaching while going to Columbia Law School. Then when he graduated from law school, he got a job downtown and they bought a row house at 170 Sullivan Street, in the Sullivan-MacDougal Gardens complex. I lived there in my parents’ house until I left in 1951 to get married. I obviously was away for long stretches at college and the army, but that was the family abode. They continued to live there until what we called the flood, when a water main burst in front of the house and flooded not only the cellar, but also the basement up to the sidewalk level. The water level was about four feet deep in the basement and left solid silt in the cellar below the basement. The silt had to be scooped out before my parents could rescue the family papers. After that experience, my parents decided they would live on a higher floor, and they moved to 40 Fifth Avenue and lived on the eighth floor there. Living in a row house was the culture that my wife and I knew. When we were first married in 1951, we had a second-floor apartment, at 263 West Eleventh Street, between West Fourth [Street] and Bleecker Streets. It was the apartment where Thomas Wolfe wrote Look Homeward Angel we discovered later. Our older daughter boasts that she was conceived in the room where Thomas Wolfe wrote Look Homeward Angel . Of course there was time, in the 1950s, when New York and the Village had lots of extraordinary creative things going on. By the way have you seen the documentary film called Ballad of Greenwich Village? It depicts the Village in the 1950s when a lot of extraordinary, creative things were going on. We saw the film at the Museum of Modern Art last December . It was done by a young woman—whose name will come to me—who lives in the Village. She raised the money to do the film hand-to-mouth, and shot segments as she went along. The film has wonderful interviews with Norman [K.] Mailer, and Edward [F.] Albee [III], and Maya Angelou, plus terrific footage of historic events in the Village—the Stonewall Inn confrontation: the peace singers and protesters in Washington Square Park. It’s just grand. It’s a vital picture of New York in the ’50s. For $40 you can buy a DVD of The Ballad of Greenwich Village. At least for context it might be useful for the archives. Q: I’m sure I can Google it and it’ll pop right up. Seymour: The Ballad of Greenwich Village. But in any case, we moved in in 1951 and set up housekeeping—learning how to get along with each other, and learning the Village. I was appointed as an Assistant U.S. [United States] Attorney in the Southern District of New York. That was from ’53-‘56. I worked a little bit too hard at the job, and I came down with TB [tuberculosis]. Catryna and I went up to Saranac Lake while I cured under the regimen of getting plenty of rest and fresh air. We had a most wonderful year, city kids, learning about the worlds of nature—about witch-hobble and hermit thrushes—things we didn’t have in the Village. We went up to the Adirondacks in 1954, came back in 1955, and I worked another year in the US Attorney’s office. It was about then that the first landmark preservation activity began in New York. I have tremendous faith in the difference a few people can make. Indeed, I believe strongly that just one person came make a big difference. It’s simply a matter of commitment, deciding what needs to be done, figuring out how to do it, and setting to work. What I’m going to recount to you is essentially the work done by one, two, three, four, or five people—contributing to the momentum for the preservation movement in New York. In January of 1957, the New York State Bar Association had its annual meeting in New York City. At the final dinner my father was sitting on the dais next to the incoming president of the Bar Association. My father said to him, “I’ve got a great idea for you. Why don’t you form a Committee for the Preservation of Historic Courthouses. I’ve got a candidate to be chairman of that committee—my son, Whitney” They both had had a couple of drinks, I’m sure, so it seemed like a good idea. Lo and behold, that committee sprang into being and I was named chairman. That summer—which was my first summer out of the US Attorney’s office, no second summer, first summer our first child had been born, second summer. We took a month-long painting trip around New York State, taking along our new child in a combination crib and playpen, staying in motels at various upstate county seats, where we had identified pre-1900 courthouses. I painted pictures of a total of eighteen upstate courthouses that summer of 1957. Catryna painted alongside, sometimes doing the county clerk’s office or other buildings. We later on exhibited, and it still continues to happen, some of those courthouse paintings. There was an exhibition of them at the New York World’s Fair, at the New York State Pavilion 1964. We organized a number of ceremonies at upstate courthouses to honor the board of supervisors for taking such good care of the courthouse. One of them in particular I remember was at Schoharie, New York, where the supervisors originally wanted, because of pressure from the clerks, to tear the old building down and put up a new one, that would look like a post office. As a result of these efforts, and recognition, and coverage in the local press, all of a sudden the ethics began to change, and pretty soon people began to say, “Yes, that’s a grand landmark we have there.” Since that time, I don’t think, a Nineteenth Century courthouse has been destroyed in New York State. Q: Do you still have the collection of paintings? Seymour: Yes, some of them. They were scattered, from time to time. The dean of Yale Law School asked me for half a dozen of them, so they went up into classrooms up there, then walked off into somebody’s apartment. There’s only one left up at Yale. Some were displayed in the State Capitol in Albany. When I was in the State Senate they asked me to lend them some. There are three at the [New York] City Bar [Association], outside the president’s office. I still have a half dozen of them currently on display in the NY Court of Appeals and I think I have photographs of most of them. Q: That would be a great documentary piece of evidence. Seymour: It also shows how you can combine your interests and outside activities. I’d become an amateur painter during World War II, when I was out in the Pacific and traded a case of beer to a Navy dentist who was stationed on the same atoll with me. His wife had sent him a paint set, but his interest was in collecting shells. So I started painting and he started drinking [laughter]. Q: You got the better part of the deal, I imagine. Seymour: In 1950, when I graduated from law school, I spent my first summer abroad in France, painting. One of the paintings I did that summer won the silver medal the following year at a competition at the National Academy of Design, sponsored by ARTnews magazine. The painting was published in Life Magazine in 1951, in full color, under the title, “Amateur Big League.” So I got a real taste of the fun of painting—en plein air painting, as they call it. Q: Do you still paint? Seymour: Yes, I still do. Not seriously, but whenever we go on vacation I carry a watercolor block and watercolors. This past June we were in Scotland and England, and I found time, and dry enough days, to do a half a dozen sketches. That’s a wonderful way to make you sit down and look at things. You’ve got to sit there, probably for an hour at the minimum. In any case, that summer of 1957 was not just about painting these courthouses but getting to see these courthouses up close, getting to talk about these courthouses and then having exhibitions, so people began to develop some awareness. Then we organized ceremonies in half-a-dozen courthouses that were threatened with demolition by the supervisors, under pressure from the county clerk, who was an elected local politician, to get rid of the old thing, because the women were complaining that the air-conditioning wasn’t good enough, and that sort of thing. Those ceremonies involved the presiding judge, and the elected district attorney, and the president of the New York State Bar Association. We also got plaques and presented them to them, in recognition. The result was, without question, changing local officials’ outlook about the principal building in most of New York’s county seats. Q: And the umbrella entity over the celebrations was this Committee of the Bar Association, that kind of gave it the oomph? Seymour: Yes. The New York State Bar Association Committee for the Preservation of Historic Courthouses, invented by my father and the incoming president of the New York State Bar Association, over a drink—instead of listening to speeches, I suppose, at the dinner [laughter]. In any case, that was the first real inkling that it didn’t take a lot to get people to raise their awareness that this was something special, and wasn’t just an old thing to be shed. That life experience, I think, began to add to the things we did later in the landmark preservation. After that summer upstate of painting courthouses, I came back to New York. I was then working as an associate at Simpson Thacher [& Bartlett LLP]. When I had been as Assistant U.S. Attorney General—from 1953 to 1956—we’d been instructed by our wonderful boss, Judge J. Edward Lumbard, that when we left, we young men and women should get involved in politics; that young people with our opportunities had an obligation to do it to repay society and to keep this political process from becoming a dirty business. So I went to the local Republican clubhouse, which was in great need of young volunteers, and Catryna and I became election-district captains on Thirteenth Street—a block of rowhouses—to get out the vote. We knocked on doors and met the voters. The next thing I knew I was invited to run for the New York State Assembly. Q: Which year is this? Seymour: This is now 1958. It may sound like a glorious opportunity, but the fact is, it was a sure loser. The assemblyman was Bill [William F.] Passannate, who was the protégée of Carmine [G.] DeSapio, whose home district it was, and whose ethnic background coincided with that of a lot of the local voters. Bill was a very nice guy, so it was hard to get the juices flowing to throw the bum out. Still, we had a wonderful time running. It’s something I advocate now, to young lawyers, whenever I can—to go out and run for an office that you can’t win, but where you can show your stuff, because people remember. Other opportunities flow from that. Every good appointment to a public job I’ve had came as the result of running for and losing an election. Q: He’s smart, capable, and unemployed at the moment. Yes. Seymour: Smartness and capability aren’t necessarily the criteria for office. Q: I’m just curious about that race. Did that allow you to get any kind of inner sense, also, of what was going on with De Sapio, and the whole beginning of the reform movement? Q: I don’t know if [unclear] or not. Seymour: Dan Wolf and his sponsor, Ed Fancher, started the Village Voice during this period. It became a voice for reform, and free speech. That was a wonderfully vital time to live in Greenwich Village. The spirit of that time period is captured in that independent film, Ballad of Greenwich Village although it doesn’t touch on that. By now I had the background of preserving historic courthouses, and I knew a little something about how to do it, and I had my eye out for it. Here was this beautiful, empty Jefferson Market Courthouse, sitting at the corner of Tenth Street and Sixth avenue, right in the heart of the Assembly District in which I was running. Two blocks away in the window of the Greenwich Savings Bank was a big blow-up of an artist’s rendering of a proposed new apartment house to replace the courthouse, which was on the city surplus property list to be sold and demolished. One of my campaign issues as a candidate for the New York State Assembly in 1958 was preserving the quality of Greenwich Village, and here was an issue on which I wasn’t going to get much competition. I made campaign speeches across the street, across the street from the courthouse, arguing that should be used for public purposes and not be destroyed. One of my proposals was that the courthouse become a branch of the New York Public Library. At the time, the only branches that served the Village was the Hudson Park branch, over on Hudson Street, one block north of Houston; and the other was the Jackson Square branch, at Thirteenth Street and Seventh Avenue. If you lived in the central Village, you had no library within easy walking distance, so it made a fair amount of sense to convert the courthouse into a branch library. I was the only one at the time [Fall, 1958] arguing for a library. After I lost the election, I remembered that a very close friend of my father’s, Bethuel M. Webster—a wonderful man, a lawyer, an eating buddy of my father’s, and one of his successors as President of the City Bar Association—was a trustee of the New York Public Library. So I wrote him a letter and said, “Beth, would you talk to someone about the idea of taking over the Jefferson Market Courthouse as a branch library?” He turned the letter over to the director of the library then, who wrote back and essentially said, “A preposterous idea!,” And listed all the reasons why it wouldn’t work. In 1961, the Library took over the empty courthouse and turned it into a wonderful branch library, as it still is today. Q: As part of that library story—there are those who have felt that the success—and the whole effort around the Jefferson Market Courthouse Library, and [Robert F.] Wagner [Jr.]’s decision to, basically say, during his 1961 primary, that if re-elected, he was behind [unclear]. Do you think that it really did carry weight as a political issue, ultimately? Because of Wagner, or—? Seymour: Oh yes. As you’ll recall, as people began to discuss the idea, the library idea of fixing the tower clock came along, and a committee was formed, of which I was a member of but not a leader, organized by Margot Gayle and Ruth Wittenberg. I remember meeting in Ruth’s apartment. The committee was able to get the clock going again. I have no doubt at all that the committee, made up of many Reform democrats, was able to get Wagner to promise them anything when he was in the 1961 primary and wanted their support. That was very smart. Q: It’s very interesting. I’ve been trying to better understand the political overlay, understanding that when Wagner decided it was time to break with De Sapio, and then the primary went against the party, it was in this time period when both the courthouse was an issue and also the appointment of that first mayoral committee for the landmarks. It was appointed the same summer, before the primary—not that, I don’t imagine, anyone thought that would get tons of votes, but clearly it was something. Seymour: I have no doubt that political considerations have played a part in a lot of the useful decisions in New York. Q: Let me ask you a quick question. 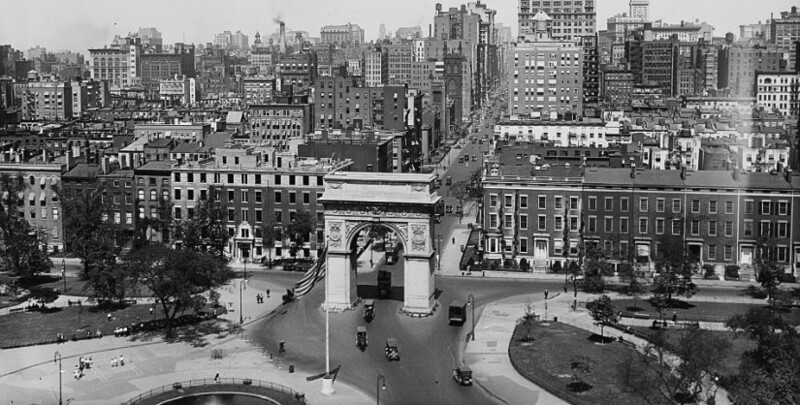 At that time period, in the Village—it was spread over a number of years, but I know in the spring of ’58 it got hot again—the whole Washington Square traffic battle, and Jane Jacobs was active in putting that committee together. Were you a member of that, too? Q: Yes, that was part of their strategy. Q: —by Ray [Raymond S.] Rubinow, or—? Seymour: No. One was my law school classmate, Norman Redlich, who taught legal ethics and later became Dean of NYU [New York University] Law School; one was Stanley Tankel, the architect, who, unfortunately, died shortly thereafter; and the third was Edith Lyons, the wife of a lawyer who lived on Tenth Street. At lunch, they said to me, “Seymour, we know you’ve worked hard on the committee, and we know Passannante hasn’t shown his face around here, but we’ve got to win this Washington Square fight, so we’re going to support him, we’re not going to support you, and we want you to understand that it’s all friendly, but it’s politics.” I remember the discussion distinctly. Q: Would the dynamics have been that normally the reformers in the Democratic party would have voted Republican, because Passannate was the machine candidate? Q: They wouldn’t have backed him. Seymour: —after they made their deal with Carmine De Sapio to support Passannante if De Sapio helped to keep traffic out of the park. I remember their saying during the campaign, “Why, I remember Bill Passannante was the very first one who said we’ve got to oppose this plan!” None of which was true. I remember, at that point, learning an important lesson: in politics, people don’t always tell the truth. So politics played a big part in closing Washington Square Park to Traffic—and I was the sacrificial lamb. However, the important thing is that the Citizens Committee won the battle. The deal with De Sapio was probably a useful step in producing that result. Seymour: Oh, yes. I have recollections of all of them. Weinberg, I remember, was sour because he didn’t have a weekend place, so one of his pet peeves was bad-mouthing people who went away from New York for the weekend [laughter]. Q: He apparently had quite a sour personality. Seymour: Yes, he sure did, and he could express it. But still, a very useful citizen. Stanley was a wonderful man of vision and heart. His widow, Claire, [phonetic] lives right around the corner. Seymour: How sad for her—how sad for all of us—he contracted trichinosis from eating uncooked bear meat and died from it. Q: Good lord! I knew he died young and kind of unexpectedly, but I never heard that. Seymour: Well, trichinosis disables you effectively, and then you can catch any disease that’s around just walking through the halls. He was in the hospital and picked up, I think, whatever he died from. But that was too bad. So, as I say, I didn’t know all of them. I thought very well of them as examples of how just a tiny handful of people can make a difference. You remember Margaret Mead’s observation? Q: Right on point, particularly in the Village, it sounds like. Seymour: Now, let’s pick up on the chronology. In the spring of 1959, now that I had gotten some visibility running for office on the need for the preservation of the courthouse and general quality of the Village, the chair of the Greenwich Village Association, Judge [J.G.L.] Molloy, a retired city magistrate who lived on Eleventh Street, asked me to become active in the Association. He made me chairman of the art committee, because, he said, he liked the way we had dressed up out back yard with the white iron furniture, which he could see out his back window. From there I went on to become chairman of the [GVA] housing committee. Q: I know the committee gave some tours that got coverage. Seymour: The housing committee initiated several projects to draw attention to the preserving the older residences in the village. The thing that is really striking is how it was possible at that time to get The New York Times to give this kind of coverage to the projects of a local community committee of three or four people? What was happening that made that newsworthy? Some editor at The New York Times obviously thought it was important—that landmark preservation in the city was an important thing—so he assigned reporters to it, good ones who would come down and cover our activities. Q: Do you have any more thoughts on that? Because I know the John [B.] Oakes/Ada Louise Huxtable connection vis-à-vis the editorial board support—editorials was so helpful for the preservation movement—starting in the early ’60s. Would you have any idea who it was, as a news editor, who was saying, hey, this is something that needs to be covered? Q: —who just kind of picked up the vibes. Seymour: —who probably lived in the city, and responded to it. I would write out a one-page press release, issued by the Greenwich Village housing committee—can you imagine that?! “The Greenwich Village Housing Committee” –-which would say, “We’re going to have a fix-up/paint-up day on Saturday the such-and-such, on Leroy Street.” And down would come a Times reporter who would write an article about it, and it would get eight inches in the paper. Q: Let me ask you specifically, because it’s interesting—the housing committee—it was about saving the buildings by sprucing them up and showing that they weren’t slums. But was there a preservation agenda behind this? Or it was really housing? Seymour: It was the quality of the Village and Village life, and the rights of Village residents who, we, in the Greenwich Village Association, had as our constituents. So it was a combination of trying to encourage landlords to keep the quality of their buildings up, so they wouldn’t become targets for purchase and demolition. At the same time we were involved with some of the larger issues about where do you put new housing? And we talked about doing new housing over West of Hudson Street, which Jane Jacobs later became involved in. I don’t think Jane was active in the Greenwich Village Association, but she was very active in opposing urban renewal at this time, and I got to know her quite well. So in the early 1960s we got some visibility for neighborhood preservation issues, and people began to talk about the fact that, yes, the Village, and the row houses, and even the new and old law tenements, had qualities to them that should be preserved. I think that helped set the stage for the notion of a landmarks law. Q: Were you involved at all, generally in this same period or slightly a little later—’59—in the whole discussion of the new city zoning resolution that became an issue? Seymour: Not in the discussion. Actually, there were two major zoning changes during this period. I remember actually going down and buying a set of maps of what they were going to do. Seymour: Your mentioning his name suddenly brings back an incident in 1959—I told you that my experience was that every time I lost a race, I got a good appointment—I was appointed counsel to the New York State Temporary Committee On the Governmental Operations of the City of New York. I was the investigative arm for that. Q: Did somebody refer to that as the Little Hoover Commission? Q: Okay. So that’s the same thing. I saw that in an article that you were mentioned in. Seymour: Yes. We had a series of public hearings about things not operating correctly in the city, and we came across something that involved James Felt that was murky. It might have involved his brother, I think, who was a developer. Seymour: Yes—and we planned to have a public hearing on the subject. Commissioner James Felt called me and asked if he could come see me, and he did. Q: James Felt called you? Seymour: Yes. He came to see me in our official offices, and he said, “I don’t care about myself, but I care about this zoning law, that I have put all my heart and soul in for several years. If you destroy my credibility, you’ll destroy all that work.” So we decided not to jeopardize adoption of the new zoning la and we never had the hearing. The public interest was better served by getting the zoning approved. Q: Well, this is really interesting, but I want to jump ahead for a moment, chronologically, because you mentioned Felt. One of the unanswered questions around this little later period of Penn [Pennsylvania] Station is, of course, this whole situation—we’ve got James Felt, chair of the [New York] City Planning Commission, the person in the administration who has brought in the preservation agenda, has ushered it along, picked [Geoffrey] Platt and [Harmon] Goldstone—working with them, hand-in-glove, to move this through the city government, at the same time that his brother is—Madison Square Garden, tearing down Penn Station is happening. The movement for the landmarks law is always just a little bit behind the process to move the Madison Square Garden project along. Both Goldstone and Platt, in my interviews with them—the portrait they painted of Felt, James Felt, and the portrait of Felt, generally, in the newspaper, was of a guy who, as a young man, had wanted to be a rabbi, had the highest personal ethical values, and it was inconceivable in their mind that there was anything inappropriate going on, even though it was Felt’s brother. Now those of us raised in the post-Watergate period are a generally a little more cynical. To me it’s always been an interesting question; and since you actually had some dealings with James Felt, do you have any thoughts on any of that? Seymour: I certainly would never believe that he would have done anything that you and I would consider corrupt. What subconsciously happens, who knows? But I always had a very high opinion of him, and still do, to this day. Q: So, in essence, I don’t, myself, see any corruption-collusion; I actually see some values that might have made him strategically want to make sure that landmarks didn’t crash up against Penn Station, when it would have been decimated by it politically. Anyway, thanks for mentioning the Felt connection. Seymour: I would be quite sure that if he did have to make a policy decision one way or the other, he would have rationalized that this was the best course for the city. All right. Q: So we’re into the late ’50s, I think. Seymour: Yes. Now I’ve finished my tour as counsel of this commission. It’s now 1962 or thereabouts. Q: Now during that period did you necessarily have to put all your energy into that? Your work with the housing group—? Seymour: Yes. The work with the commission required twelve-, fourteen-hour days. Q: Yes, I would imagine. Seymour: You can’t do the other things. But when I wound that up, and had some free time, somebody invited me to become involved in the Park Association of New York City. Pretty soon I was president of the Park Association of New York City doing a lot of the Association’s work personally since it had no staff at first. When I was first a member of the board I worked with Ray Rubinow on the Citizens Emergency Committee to save Madison Square Park. Q: Was this against putting in the underground parking garage? Seymour: Yes. Our committee consisted of about three of us. I did a lot of research on the history of Madison Square and Gramercy Park, and we published a newsletter under the banner of the Park Association of New York City—this was before we merged into The Parks Council—and it was entirely dedicated to why Madison Square was important and what its glorious history was, with photographs. We used that as one of the public opinion pieces. Q: I stumbled onto a few references to that issue. Help me understand. Did that issue become of citywide attention? Q: —so you were able to cut it off at the pass, so to speak. Seymour: I think it may have been a [Robert] Moses plan. In any case, whoever was behind it, stumbled fairly early on. Q: Also, if my memory’s correct, I think the park commissioner at that time, [A.] Newbold Morris, actually came out against it also, at some point. Q: So that must have helped too, as opposed to who was on the other side. Q: Was it in the same building where the Architectural League [of New York] was, on the street that was just south of the public library, there? The old Willkie Building? Seymour: No, this was before that. This was before that—before they tore their building down on Thirty-Ninth Street, just west of Park Avenue, next door to the old Princeton Club. The Park Association sponsored an exhibit on small urban spaces that Bob [Robert L.] Zion had put together. He was a landscape architect, a very talented guy. He later faded away. But he was the one who came up with the idea of using running water in small parks, and the key design in this exhibit was the idea of building a wall at the end of an open lot with stream stones set in cement, and then having water run over it. Q: Paley Park [Samuel Paley Plaza], right? Seymour: Bingo. Paley Park grew out of that exhibit. [William] Paley, or his advisors, saw the exhibit and said, “We’ll take it.” So it went right in up there. The Park Association then found three vacant lots up on 128th Street between Fifth Avenue and Amsterdam [Avenue] and we built three pilot vest-pocket parks there. One was an urban, adult sitting park, which Bob Zion designed for us. It’s still there. Now this goes back to the early ’60s—forty-some years ago. I went by it the other day. The second was a playground in the middle of the block for small kids, which had a rowboat set in sand and built so they could climb on it, an adventure playground, which hadn’t existed before that anywhere in the city. The third was a teenage park, at the west end of the block, adjacent to the Baptist church. It had a basketball court, and places for teenagers to hang out and have parties and record hops and that sort of thing. We had a bunch of volunteers, got some students from Pratt [Institute] to design murals, and paint and build. The money came from Kaplan, $5,000 for each park. Q: Did he also help fund the exhibit? Or was that a separate thing? Seymour: No, no. That was separate. Q: The $15,000 that Ray produced was for these three parks. Q: Fifteen-thousand, right. You got a lot of mileage out of $15,000. Seymour: It was all used for out-of-pocket expenses. All of it went into materials. The work was all done by volunteers. One of the human-interest aspects of that experience was that, in order to court the Kaplans, and get them to think this was a good idea, we arranged for them to go up and see these vacant lots. We picked a day and a time, it was noontime, and Catryna, my wife, packed a wine and cheese and French bread picnic. We planned to stop in the Ramble in Central Park and have a picnic first, then go up and go through these parks in Harlem. Well, it rained. So we had the picnic in the back of this chauffer-driven limousine, and to this day Catryna believes that it was because the Kaplans felt so sorry for her, that they agreed to put up the money! Q: Was that J.M. who was in the car? Seymour: Yes, Jack Kaplan and his wife. Seymour: Alice. Right. They were really wonderful, salts-of-the-earth. Good folks with good hearts. That was one thing the Park Association did to draw attention to preserving communities. Out of that experience we prepared a book called Small Urban Spaces: [The Philosophy, Design, Sociology, and Politics of Vest-Pocket Parks and Other Small Urban Open Spaces], published by NYU Washington Square Press [New York University Press]. It was later translated into Japanese, and became a basic urban-landscape design work in Japan. Q: Was Holly [William H.] White involved in any of this? Q: Okay. I know he became so associated with social life of public spaces. Seymour: And he was also working for Nelson [A.] Rockefeller. Q: Yes. He was in a different spot. Okay. Seymour: A fellow who did grab onto the idea was Robert [F.] Kennedy, when he was running for the Senate. He made a tour of Harlem, and talked about all the great things we’re doing in New York, to help improve the life of the neighborhood. The example he used was our three parks on 128th Street, and he brought along a whole crew of news media. Kennedy also picked up a second idea of ours. The Park Association did a clean-up/paint-up/fix-up day, like the one we did in Greenwich Village in the Bedford-Stuyvesant section of Brooklyn, before any projects had gone in there. It was just a neighborhood community. We went over there, met with the leaders of several block associations, and got them to volunteer that they would get their association members to cooperate in a springtime clean-up day. We got a little funding, and hired a rental truck that came over loaded with window boxes filled with red geraniums and Boston ivy. We sold them to homeowners for $1.00, so the property owners would have a stake in it, on the condition that the property owners cleaned up their front areaways and painted the stoop railings. Then they could buy them for a dollar. We worked with the people in three blocks one spring Saturday, and almost every house ended up, at the end of the day, with these wonderful, bright-red flowering window boxes, and a tremendous sense of civic accomplishment. So all these things were looking toward preserving the quality of city life, making it more acceptable, and adding to the amenities. Brendan Gill was a fellow member of the board of the Parks Association. I don’t know who it was that got me on the Municipal Art Society board, but my father had been on—[crosstalk]. Q: Yes, he had been president. Seymour: At that time, another public education preservation initiative came out of the Seymour household, and that was historic walking tours. Until that time, nobody had ever done a walking tour of Greenwich Village. The American Bar Association [ABA] was planning its annual meeting in New York, and the Women’s Activities Committee—imagine a time when they had women’s activities—headed up by Janet Medina [phonetic], who put the arm on Catryna, as a young ABA wife, to do an event in Greenwich Village. So Catryna and I put together and wrote up a historic walking tour of Greenwich Village, which included lunch at Enrico & Paglieri, a charming ground-floor and garden restaurant in a brownstone on West Eleventh Street. The tour was sold out and was a great success. Having invested that much time in researching and writing the walking tour—I believe the year was 1964—we decided to publish it. So we expanded the text and added a map. Catryna made spot drawings to illustrate the map, and we had it printed up this way. We went up to Nantucket, I think, that summer, and on the boat to Nantucket they sold a sheet this size with a cover, and inside a map was folded. So using that as a prototype we did the same thing here. And we then published what I believe may have been the first-ever walking tour of Greenwich Village. We enjoyed researching and working out the tour so much, and it was such a wonderful activity for our two children, who were now about six and eight, that we spend a number of weekends using the WPA Guide and a couple of other historic sources, developing walking tours of Downtown Manhattan, Madison Square and Gramercy Park; and then Brooklyn Heights. We ultimately published four of these historic walking-tour maps. Q: Were they published under the Parks Association? Seymour: No, no. Published by The Seymours, 290 West Fourth Street. We tried selling them from newsstands without success, but they became slow but steady seller at the Metropolitan Museum of Art. I’ve got samples of them here. Here are two of Greenwich Village, and two of downtown New York maps. You can see how the map itself folds out so you can hold it, and actually carry this around with you as you do the walk. Then, on the back, there’s actually a glossary of the architectural styles. Q: Thank you. This will fit right in. These are terrific. I didn’t know these existed. Seymour: Yes, well, you’re too young. Q: One of the few things I’m too young for. Seymour: The walking tours became a family activity. There were four of us now. The kids were involved in it. It was during this period that we discovered Fulton Street, which lead us to the story of the South Street Seaport Museum. The office of Simpson Thacher & Bartlett, at this time, was at 120 Broadway, between Pine [Street] and Cedar [Lane], two blocks north of Wall Street. When I started there in 1950 during decent weather we young lawyers would often walk over to Sloppy Louie’s for lunch, or the old Seamen’s [Church] Institute. I remember taking different routes walking down to Sloppy Louie’s, and at the end of John Street where there was an absolutely beautiful, half-block of Eighteenth Century commercial buildings—residential, I guess they must have been residential—three- or four-stories high, with that very soft, light-red brick color, a kind of lumpy texture, and low doors, where you could easily bang your head. One day I went down, and the space where this row of Eighteenth Century houses had stood was a parking lot. That’s when the shock really hit me, that this stuff was going to be destroyed. So I said to myself, I’ve got to do something louder about this, and I wrote an article about preserving landmark buildings for the Times Magazine in their Sunday paper [“A Plea to Curb the Bulldozer”]. Q: Is this what led up to your piece? That letter is framed and currently hangs in the ground-floor hallway in the Hall of Records at City Hall Park in New York City, as part of a series of documents tracing the history of New York. As I think of it, in my later whippersnapper days, I’m very glad he bothered to notice. Q: Did Newbold ever send a letter in, in response? Seymour: Oh, yes. Oh, yes. And because of my Parks Association ties, I was invited to a couple of social functions by board members, to which Moses was also invited, and he very carefully never spoke to me. In any case, you know this later piece on landmarks. Q: Yes, which is great. But the other—the Parks piece—I could Google that probably, and get that. Seymour: Yes. The title is “London’s Lessons for New York’s Parks”. My landmarks article in The Times was obviously the accumulated experience of all these various activities, but it was really seeing the destruction of that row of buildings on John Street that triggered it. I still wince, every time I walk by, because the space is still a commercial parking lot, a vacant lot, used for revenue from cars. It’s the west end of the block that has the Yankee Clipper restaurant directly across from the back of Museum of [unclear]. Q: And the ending is pretty hard-hitting. Your language is right up there with Ada Louise’s editorial. It’s a great, great ending. I don’t know why I have it—maybe I got it from you—but I have a copy of a letter J.M. Kaplan wrote you, in response, saying how great this piece was. I don’t know how I got that. Seymour: I don’t have it. Q: Well, if you like, I’ll send you a copy of it. Somehow—in the archives, I’ve been pilfering, and I got that [unclear]. Okay. Now, by this time you were on the MAS board probably by this time. Q: Do you have—unfortunately, the MAS minutes, during the most interesting period, vis-à-vis something really happening over there—the mayor’s committee being appointed in ’61—from ’61 to ’65, the MAS minutes are not available. They don’t have them at MAS. They have one here and one there but not consecutive, so I can’t get a sense of the rhythm of expectation, as one can when you read their regular minutes, in the ’50s, where you can see drums being beaten and things evolving. I don’t have that for this period. I get a sense that now, with Platt inside government now, with Goldstone inside government at City Planning, and working to be helpful—that in a sense what had been an outside, you’ve-got-to-do-something was now inside, trying to do something. And that MAS is also extremely well represented on the mayor’s first Landmarks Commission [The Committee for the Preservation of Structures of Historic and Esthetic Importance]. In a sense, they’re kind of taking their lead from the commission, more or less. Q: In terms of landmark stuff, the ball was in the Landmark Commission’s court. Seymour: You remember, up until that time the cataloging of the landmarks of New York was done by MAS. Q: —which had finally been turned into Burnham’s book, in ’63. Actually very much at the same time as—I think the official party for the book was probably two weeks after your piece. It coincided with the beginning of the demolition of Penn Station. I believe there’s an article that—right. That, indeed, guided them. I haven’t been able to find—I stumbled, in [James Grote] Van Derpool’s papers—there was one set of minutes I found, from the [New York City] Landmarks Preservation Commission meetings, in the pre-law period. But the whole collection of those minutes is not yet found. I have feelers out at the law office, and the Landmarks Commission, and we’ve looked at the Municipal Archives. I don’t know if we’ll find them. But, anyway, it’s very interesting to me, the dynamics of that period. Seymour: If you get somebody to go check my father’s papers, have them look at the MAS box. It’s possible that there might be some of them. Q: I’m going to look at those myself. Seymour: Well, I hope they’re there. I don’t guarantee it. But if they’re any place, that’s where they are. All right. Now, I think probably the next thing that happened that’s relevant on this is that I found myself nominated to run for the [New York] State Senate in 1965, and by some fluke was elected. It was a special election, maybe a special districting under order of the Supreme Court. There was some reason it was an off-year election. In ’64, because Goldwater [phonetic] had run—Mac [MacNeil] Mitchell had been defeated after [crosstalk]. Seymour: Oh, yes. He was there forever. Q: Did you know him well? Seymour: Not well. He was never the kind of guy anyone could know well, but I think he was, if not the leader, he was at least the principal figure in the republican club on Tenth Street, which was my club. And I, having been the last candidate who ran for the Assembly—maybe there had been one after me—Mitchell had lost his nerve about running for re-election, because he didn’t want to risk losing again. So he agreed that I should be the candidate, and I ran in ’65 and won the seat back, so to speak. Q: It had been lost in the Goldwater debacle. Right. Seymour: Right. A clean sweep. Q: Can I ask you one other thing about Mitchell, before we move out of the time period? Q: His name appears—whether it was the Bard Act; whether it was prior to the Bard Act—some legislation, I think he was part of it trying to save the Rhinelander buildings; the Carnegie Hall was him. Part of it, I know, was he was the chair or leader on the right committees in Albany—But was that just him being responsive to his constituents, or did he have some real affinity for preservation as an issue, or simpatico to history? Or was he just being a good politician, representing the people who came to him and said, hey, this is important stuff, do it. Seymour: I don’t want to demean his motivation, but I’m quite sure it was just a response to what his constituents wanted. Mitchell always referred to me as that goddamn Boy Scout. Q: [Laughs]. I think you’re going to have a hard choice between what you want on your business card—whippersnapper or goddamn Boy Scout. Those are good choices to have. Seymour: There’s one that Richard Nixon let out in the Oval Office, when I was United States Attorney, an expletive deleted. Q: That’s a third choice. Okay. We’re back here. You’re running. You’ve just been elected, to reclaim the seat. Seymour: Now, at this point, John [B.] Hightower and the New York State Council on the Arts, has a retreat up in Harriman House [The Arden House], on the preservation of architecture. All the new boys—and there were a lot of them, because of the sweep, there are a lot of freshmen elected—we were invited to this retreat. They explained the Arts Council law, and what limited powers they had, but they talked about the idea of expanding this to architecture. One of my notions was to put in a bill to create a New York State Council on Architecture. I actually put in such a bill, but it was killed by the speaker of the assembly, who didn’t like architects. Q: —the old loft on Fulton Street. Seymour: Right. Read it to the end. Seymour: So I said, “How about putting up some money and doing a feasibility study of whether or not that could be a maritime museum?” He assigned Fred Rath, who was his vice-chairman. Wonderful man. Frederick [L.] Rath [Jr.]. He used to be a [United States] National Park Service ranger. Q: Now what was he wearing at this particular time? Seymour: He was wearing a hat as vice-chair, vice-president or whatever—whatever Hightower’s title was, he was the vice. So he was assigned the job of doing the feasibility study. He came down to New York, and I took him to lunch at Sweet’s restaurant. We talked through what could be done down here. He said, “Before we’ll do the study, you need to have a civic sponsor.” So I made a pitch to the Municipal Art Society, and they said, sure, we’ll sponsor you. So the Municipal Art Society was the one who requested they do the feasibility study. Q: At this point was Kent [Barwick] at the Municipal Art Society? Q: This is still another decade away. Seymour: No, this was Ruth Loud. Q: Right. Ruth McAneny Loud was the player. Seymour: Let’s see. Was she staff then? She succeeded me as president. Q: No, she wasn’t staff, but she seems to have run the place with very short reins. Q: They probably didn’t have a staff except for the lady taking minutes—Mrs. Walsh [phonetic], or whatever her name was. Seymour: I just love thinking about this period, because these were lean organizations that didn’t have time for all the intricacies, the ins and outs and the politics and oh, we can’t afford to upset people, and so forth. It was, what’s the right thing? Let’s do it. It was just that. Q: That was a nice time. Seymour: —about this new guy who replaced Mac Mitchell, when I got the bill out on the floor, they passed it with no debate. Now it has passed the Senate and it’s in the Assembly, where it was sure to die. Then the oddest thing happened. When I went to school it was drummed into me that good sportsmanship was everything; that you always yielded to the other guy; always congratulated the other guys, even if they beat the hell out of you. That sort of thing. Everything was graciousness, and all throughout my life I’ve been dogged by that, because every time I’ve done it, particularly in a law case, the lawyer on the other side has kicked me in the teeth—using the opportunity. I was reflecting on the subway this morning that they probably took it as a sign of weakness. But I did it again and again and again. I can think of all sorts of situations. But I try not to do it anymore. In any case, this is the one positive thing that came out of following that policy. I was made chairman of—they wanted every Republican member, in the majority, now in the Senate to have a chairmanship of a committee. So they created a Housing Committee. And, because I had been involved in the housing committee of the Greenwich Village Association, I put in my hat to be chairman of the Senate Housing Committee. Into the Housing Committee comes a bill to authorize some change in the middle-income housing law. I read it, I looked at the memo, and it looked like a good bill to me. It made a lot of sense, so I recommended it out. I spoke in favor of it, and it passed the Senate. It had already passed the House. Well, now, the museum bill has passed the Senate, it’s over in the Assembly, and I get a call from an assistant saying, “Speaker [Anthony J.] Travia would like to meet you.” The speaker of the Assembly. So I go over and meet him, chit chat with him a little bit, and then he said, “Senator, that was a nice thing you did on my housing bill. What can I do for you?” I said, “Well, Mr. Speaker, I’ve got a bill to create a South Street Seaport Museum.” “Great idea. What’s the number?” He writes down the bill number, and the next day it passes the Assembly. Seymour: Now, here comes the inside story. It’s now on the desk of Nelson [A.] Rockefeller, governor of the State of New York. The staff people at the Downtown Lower Manhattan Association suddenly read that this goddamn crazy bill from this freshman senator has passed both houses! They want to tear down Schermerhorn Row and put up as huge Insurance Center on the site. They’ve got to do something about it. They talked to their chairman—of the Downtown Lower Manhattan Association—who happens to be the brother of the governor of the state of New York, [David Rockefeller]. I go up and meet with him. I say, “Mr. Rockefeller, this is a much better idea. Putting a big insurance complex in there is really a destruction of New York’s great heritage.” Blah, blah, blah. Of course, he couldn’t have cared less. Seymour: I say, “I don’t think you guys really want to play that kind of politics with this sort of thing.” I talked to them at some length about the importance of South Street, the maritime tradition, and so forth. They ended up not opposing it. Harmon Goldstone came up to me and said, “You know, I often wake up in the middle of the night in a cold sweat, when I think of how close we came to doing that terrible thing, of filing a bill in opposition to preserving South Street.” To his credit. So now I’ve beaten them off, and I’ve now got David Rockefeller to deal with. I then had this idea. I hand-wrote a letter—dear Nelson—and I talked about the importance of preserving the heritage of New York and the great economic opportunity and so on, and its past. I said, I know your brother is opposed to this legislation, and he probably recommended to you that you veto it. But I urge you to disregard him, and do the right thing and sign the bill. And I wrote at the bottom of the letter, CC: Ada Louise Huxtable; New York Times. He signed the bill [clapping]. Three or four years later—by this time the Museum had a committee now, and they were beginning to raise some money down at South Street—they had a ribbon-cutting, and guess who came down to cut the ribbon—David Rockefeller. Q: It wouldn’t have been—David [laughs]! Seymour: He said, “I’ve always thought this was one of the grandest ways to save the heritage of downtown New York!” I never said a word. Q: The better part of valor. Seymour: South Street is still struggling, but we saved the place and the whole Seaport area with it. I would like to see the quality of its museum interpretation turned around, but at least the site has been preserved. Seymour: I’m sorry we’re going on so damn long. Q: I’m happy, but you’re probably the one with a train somewhere to catch. Seymour: South Street I suppose I’m most pleased about because it happened so early in my Senate career. But then there are three or four other things you might be interested in, that are not irrelevant. One is I got a call, still my freshman year, one night at the Fort Orange Club, where I was saying. The voice said, “Mike, this is your Princeton classmate, David [C.] Huntington.” “Oh, David. Hello. How are you?” “Mike, there’s a bill in the legislature to authorize saving Frederic [E.] Church’s home, Olana. I said, “David, tell me about it,” so he told me all about it. This was a guy who’d made his professional career as an art historian and had written the definitive book on Frederic Church and Olana. The Church estate couldn’t afford to keep it up, so it was on the block. A developer had bid on it. The state was about to put up a new community college, state financed, down the hill, and the plan to save it was to make this an appendage of the community college, as a cultural center. That would have gotten the developer out, and the state to buy the property. I had gotten to know, Warren [M.] Anderson who was chairman of the Finance Committee and a terribly powerful man, and I went in and talked to his chief of staff. We found the bill, and he said, “Not a chance. We’re not going to spend state money for that nonsense.” I said, “No hope at all?” He said no. So the following weekend I take Catryna and the girls, and we go over to Olana. It’s chained off, but we park at the bottom of the hill and we climb up. The caretaker up there gives us a tour of the house, and it just blows us away. One of the things that blows us away—P.S. you can’t see it anymore—was on the top floor, there was a room occupied by one of Church’s sons who took his own life. There were bloodstains in the wooden floor that you could still see. Now, on the tour, they’re not open. I think there’s just a carpet on them; but they’re still there. In any case, my girls, who were then teenagers, were much taken by that. So I saw the house and its potential. I was satisfied that it was really for real, and that it had to be saved. I went out and bought a copy of David’s book and I went in to Warren and said, “Read this book.” He did, and he said, all right. He reported the bill out and passed it. Q: And the school use never happened. Seymour: No, no. They spun it off as a separate institution and Olana is now it’s a major landmark of the Hudson Valley. If I hadn’t been there, and a classmate of mine from college hadn’t called, and if I hadn’t put in the effort of driving over there, and buying a copy of David Huntington’s book and given it to Warren Anderson. See, individuals, at the right place and the right time, can make a tremendous difference. Two other things; one is that during this time they were abandoning railroad tracks all around the state. I got a bunch of my colleagues, Republican colleagues, who were then the majority, from around the state to co-sponsor with me a bill to make them available to become bicycle trails. That’s what started the bicycle trail movement. Q: We seem to be working again. Seymour: That was back in the days when you could get through to people on the telephone. Catryna got on the phone and called every theatrical celebrity she could think of, authors and that sort of thing, in the New York area, and told them about Storm King, and asked them if they would lend their names. It was amazing. She got a list twenty-thirty names long. She did it again for another thing. That became the Citizens Organizing Committee, and it scared ConEd enough that they tracked down the addresses of these people, and kept bombarding them with letters, telling them how good the pumped storage plant idea was. It was fun to be part of that battle, which was finally a total victory. ConEd never built its plant. So Harold Oram, Steve Duggan and I had the pleasure of founding NRDC [National Resources Defense Council], which has now become the premier environmental protection group in the world. This was 1969. Q: Wow. I did not know you were partially to blame for NRDC’s wonderful work. Seymour: I’m partially to blame for that. Q: When did John [H.] Adams come on the scene? Q: So you invented John Adams. Seymour: I didn’t invent him, but Dave [David] Sive and I first interviewed him, for the job. I did an oral history interview about this period which should be available at NRDC. Seymour: We had a rump group that was meeting at the Century [Association] for lunch, to plan how to make this happen. We interviewed two other candidates. One was David Brower, who had just left the Sierra Club, but he wanted to do his world project. The other was a law professor, John Bonifant, who was teaching at a law school in Washington D.C. and had been running a campaign against smoking. He wanted to stick with that. John was the third candidate. He was working downtown with the Federal Organized Crime Strike Force. He was the right man, at the right moment, with the right magic in his genes. How lucky. Q: I love endings like that. Beginnings like that. Seymour: Me too. I then went off and became United States Attorney, and have since been doing things more on the national scene. My only New York City landmark involvement in recent times came about from getting to know Bruce and Arlene [Simon], and their telling me that they couldn’t understand why the commission was behaving the way it was in refusing to hold a public hearing on 2 Columbus Circle. I said to them, “Why don’t you file a FOIA [Freedom of Information Act] request?” They said, “How do you do that?” So I applied to help them, with the result that we discovered some monkey-business going on behind the scenes at the commission. I volunteered to bring a last-minute litigation for them, challenging the Commission’s failure to act on 2 Columbus Circle. We got thrown out, but there’s more to come. Q: Absolutely—I hope. I hope. Seymour: Come back in a year or two to discuss the Citizens Emergency Committee to Preserve Preservation, organized in 2006 to try to fix some of the problems with the Landmarks Preservation Commission. Let’s see then if it has been able to accomplish anything.